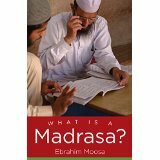 The Urdu translation of this book is know available. Shamil Jeppie, Ebrahim Moosa & Richard Roberts. 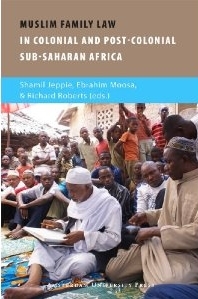 Muslim Family Law in Sub-Saharan Africa: Colonial Legacies and Post-Colonial Challenges. Amsterdam University Press, Spring, 2010). “Unfair to Direct Blame at Islam,” Atlanta Journal-Constitution (November 7, 2002). My Foreword to Adis Duderija’s book, Imperatives of Progressive Islam. “The Unbearable Intimacy of Language and Thought in Islam.” In How Should We Talk About Religion? Perspectives, Contexts, Particularities, ed. James Boyd White (Notre Dame, Indiana: University of Notre Dame Press), 2006. 300-326. “The Debts and Burdens of Critical Islam” in Progressive Muslims: On Justice, Gender and Pluralismed. Omid Safi (Oxford: Oneworld, 2003), 111-127. “Contrapuntal Readings in Muslim Thought: Translations and Transitions.” Journal of the American Academy of Religion, March 2006, Vol. 74. No. 1, 107-118. “Rejoinder to Paul J. Griffiths’ Response.” Journal of the American Academy of Religion, March 2006, Vol. 74. No. 1, 122-124. “Response to Robert Segal,” Journal of the American Academy of Religion, March 2006, Vol. 74, No. 1, 172-174. “The Spirit of Islamic Humanism,” The Humanist Imperative in South Africa, ed. John W de Gruchy (Stellenbosch: Sun Media, 2011), 107-116. “al-Tajdid wa ’l-hadatha: dirasa muqarana fi mawqif Fadl al-Rahman wa Hasan Hanafi min al-turath,” in Jadal al-ana wa ’l-akhar: qira’at fi fikr Hasan Hanafi. In Arabic. (“Renewal and Modernity: A Comparative Study in the Approach of Fazlur Rahman and Hasan Hanafi towards the Islamic Heritage,” in The Dialectic of Self and Other: Readings in the Thought of Hasan Hanafi) ed. Ahmad ‘Abd al-Halim (Cairo: Madbuli, 1997), 109-114. “Colonialism and Islamic Law,” Muhammad Khalid Masud, Armando Salvatore, and Martin van Bruinessen (eds), Islam and Modernity. Key Issues and Debates. (Edinburgh University Press, 2009): 158-181. “Interface of Science and Jurisprudence: Dissonant Gazes at the Body in Modern Muslim Ethics,” in God, Life and the Cosmos: Christian and Islamic Perspectives eds. Ted Peters, Muzaffar Iqbal & Syed Nomanul Haq (Aldershot: Ashgate, 2002), 329-356. “The Poetics and Politics of Law after Empire: Reading Women’s Rights in the Contestations of Law,” in Journal for Islamic and Near Eastern Law (JINEL) 1:1 (Fall/Winter 2001/2002): 1-46. “The Dilemma of Islamic Rights Schemes,” The Journal of Law and Religion 15: 1-2 (2000-2001): 185-215. “Prospects of Muslim Law in South Africa: A History and Recent Developments,” in Yearbook of Islamic and Middle Eastern Law 3 (1996): 130-155. An updated and partially modified version of this essay appeared as “Shaping Muslim Law in South Africa: Future and Prospects,” in The Other Law: Non-State Ordering in South Africa, eds. Wilfried Schärf & Daniel Nina, (Cape Town: Juta, 2001), 121-147. “Languages of Change in Islamic Law: Redefining Death in Modernity,” Islamic Studies 38:3 (1999): 305-342; reproduced in Perspectives in Islamic Law, Justice and Society, ed. R. S. Khare (Lanham: Rowman & Littlefield, 1999), 161-197. “Transacting the Body in the Law: Reading Fatawa on Organ Transplantation,” Afrika Zamani: Revue d’Histoire Africaine/A Journal of African History Special Issue, ‘The Civil Status and Biographies of God in Contemporary Africa,’ 5-6 (1997 & 1998): 291-317. “ ‘The Child Belongs to the Bed:’ Illegitimacy and Islamic Law,” in Questionable Issue: Illegitimacy in South Africa (eds.) Sandra Burman & Eleanor Preston-Whyte (Cape Town: Oxford University Press, 1992), 171-184. “Brain Death and Organ Transplantation – An Islamic Opinion,” South African Medical Journal (SAMJ) 83: 6 (June 1993): 385-386. “Brain Death in Islamic Ethico-Legal Deliberation: Challenges for Applied Islamic Bioethics,” Bioethics (Oxford: Blackwell Publishing, 2011). “Muslim Ethics and Biotechnology,” The Routledge Companion to Religion and Science (London and New York: Routledge, 455-465). “Truth and Reconciliation as Performance: Spectres of Eucharistic Redemption,” in Looking Back, Reaching Forward: Reflections on the Truth and Reconciliation Commission of South Africa ed. Charles Villa-Vicencio & Wilhelm Verwoerd (Cape Town: Juta, 2000), 113-122. “Muslim Conservatism in South Africa,” Journal of Theology for Southern Africa (JTSA) 69 (December 1989): 73-81. “Allegory of the Rule (Hukm): Law as Simulacrum in Islam,” History of Religions 38:1 (August 1998): 1-24. “History and Normativity in Traditional Indian Muslim Thought: Reading Shari`a in the Hermeneutics of Qari Muhammad Tayyab (d.1983),Ebrahim Moosa History and Normativity” in Rethinking Islamic Studies: From Orientalism to Cosmopolitanism, Carl W. Ernst & Richard C. Martin (eds. ), (University of South Carolina Press, 2010): 281-301. “Worlds ‘Apart’: The Tabligh Jamat under Apartheid 1963-1993,” Journal for Islamic Studies 17 (1997): 28-48, reproduced in Muhammad Khalid Masud (ed.) Travelers in Faith: Studies of the Tabligh Jamat as a Transnational Islamic Movement for Faith Renewal (Leiden: Brill, 2000), 206-221. “Discursive Voices of Diaspora Islam in Southern Africa,” Jurnal Antropologi dan Sosiologi 21(April 1992/93): 29-60, reproduced as “Islam in South Africa,” in Living Faiths in South Africa, eds. John de Gruchy & Martin Prozesky, (Cape Town, David Philip, 1995), 129-154. “Islam,” in A Southern African Guide to World Religions John W. de Gruchy & Martin Prozesky eds. (Cape Town: David Philip, 1991), 203-237. Ron Shaham, The Expert Witness in Islamic Courts: Medicine and Crafts in the Service of the Law, in Journal of the Economic and Social History of the Orient JESHO 54 (2011) 270-309. “Islam: A Mosaic, Not a Monolith. By Vartan Gregorian, Brookings Institution Press, 2003 in Journal of the American Academy of Religion, December, 2006, 74:4. 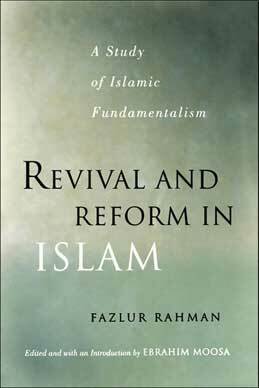 “Islamic Reform or Designer Fundamentalism?” Review Essay of Tariq Ramadan’s Western Muslims and the Future of Islam (New York: Oxford University Press, 2003) in Georgetown Journal of International Affairs, Winter/Spring 2006. 139-144. Abdolkarim Soroush, Reason, Freedom, & Democracy in Islam: Essential Writings of Abdolkarim Soroush (New York: Oxford University Press, 2000) Iranian Studies: Bulletin of the Society for Iranian Cultural and Social Studies, 37:3 (September 2004): 547-552. Muhammad Sa`id al-`Ashmawy. Against Islamic Extremism: The Writings of Muhammad Sa`id al-`Ashmawy ed. Carolyn Fluehr-Lobban (Gainesville, Florida: University Press of Florida, 1998) International Journal of Middle East Studies (IJMES), 33: 4 (2001): 640-642. Abdullah Saeed. Islamic Banking and Interest (Leiden: Brill, 1996), Religious Studies Review 26 (2000): 290. Steven Vertovec & Ceri Peach eds. Islam in Europe: The Politics of Religion and Community (London/New York: Macmillan Press and St. Martin’s Press, 1997), Politikon, 27:1 (2000): 167-170. Brannon Wheeler. Applying the Canon in Islam (Albany, NY: State University of New York, 1996), Journal of the American Academy of Religion 67:4 (December, 1999). Imran Ahsan Khan Nyazee. Theories of Islamic Law (Islamic Research Institute & International Institute of Islamic Thought), Journal for Islamic Studies 18-19: (1998/99): 132-139. Kevin Reinhart, Before Revelation: The Boundaries of Muslim Moral Thought, (Albany: State University of New York), Middle East Studies Association BULLETIN, 30:2 (1996). Abdulkader Tayob. Islamic Resurgence in South Africa: The Muslim Youth Movement (Cape Town: UCT Press, 1995), Journal for Islamic Studies 15 (1995). Mahmood Mohamed Taha. The Second Message of Islam (New York: Syracuse University Press, 1987), Journal for Islamic Studies 13 (1993).